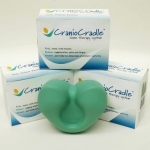 The CranioCradle is a great tool for self care. 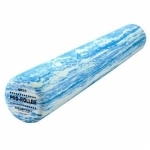 It has many uses and can be used in varies ways to release tension. Written by John F. Barnes, the founder of Myofascial Release. A must read for all looking for authentic healing. Highly recommended for all clients and patients to enhance and support your healing process. The Occipivot is a firm self care tool. Treat muscle tension, relieve stress and headaches.